I am so pleased to partner with Bucklebury. I reached out to them after seeing their products online. I talked with the CEO, and had a great conversation. 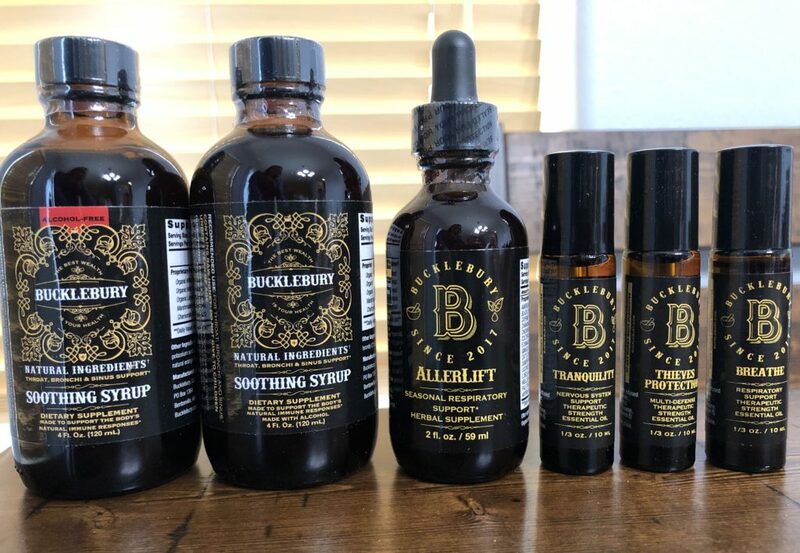 Some of the Bucklebury products are on Amazon! Recheck this link for when the others are listed! For those of you who don’t know, I have a Bachelors degree in Complementary Health and Alternative Wellness. I lost my dad to cancer over a decade ago, and thus began my journey into how we can support our bodies natural function BEFORE illness and to prevent sickness/disease. If you wait until sickness and disease happen, it may be too late or have a decreased result with natural treatment. Using products like this can assist your bodies natural function to stay healthy and well. I do not believe in a one size fits all treatment for any sickness/disease as we are all individuals. Of course this is my own opinion and not meant to suggest treatment for my readers. Please do your own research and consult your doctor for your individual wellness. Manufactured in a cGMP (current Good Manufacturing Practices) facility that is FDA inspected. Finished product is not released until it has passed thorough finished product testing. Provides the COA (Certificate of Analysis) if requested. Our bodies are made to heal themselves most of the time. We have great natural tools to help that can help keep our immune systems in check and ready for those pesky colds. Sometimes we still get sick, and that’s ok! 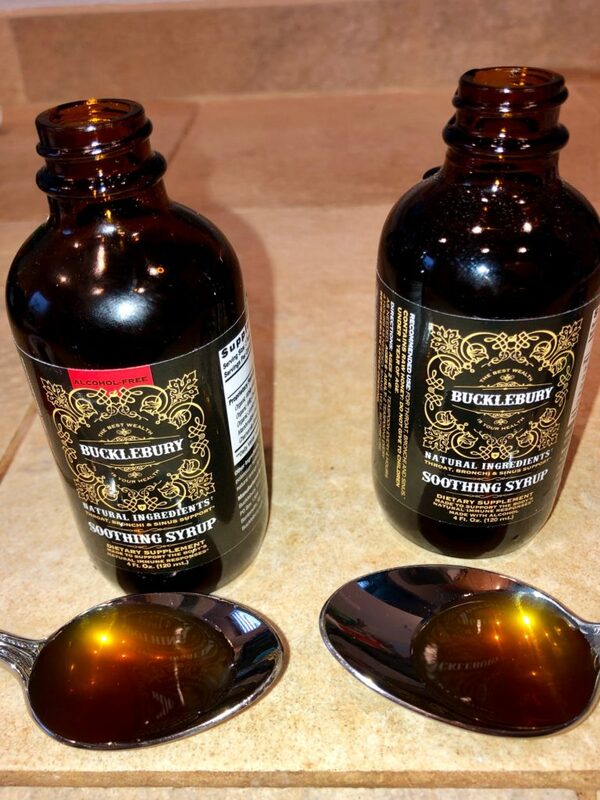 While in the process of partnering with Bucklebury, I myself got sick. My goal is to boost my immune system BEFORE cold season. Boosting your immune system does not mean that you wont get sick, it just means that it fights off the smaller bugs and get sick less. The Bucklebury story began in 2003. The CEO began to study alternative healthcare methods, specifically western herbalism. One of the amazing things that Bucklebury does is donates a portion of proceed to fight and eradicate human trafficking worldwide. Amazing! On their site they also have an herb education page. This is great for a refresher, or for those who are just starting an herbal supplement journey. Knowledge is Power, especially when it comes to our heath. If we KNOW BETTER, we can DO BETTER. 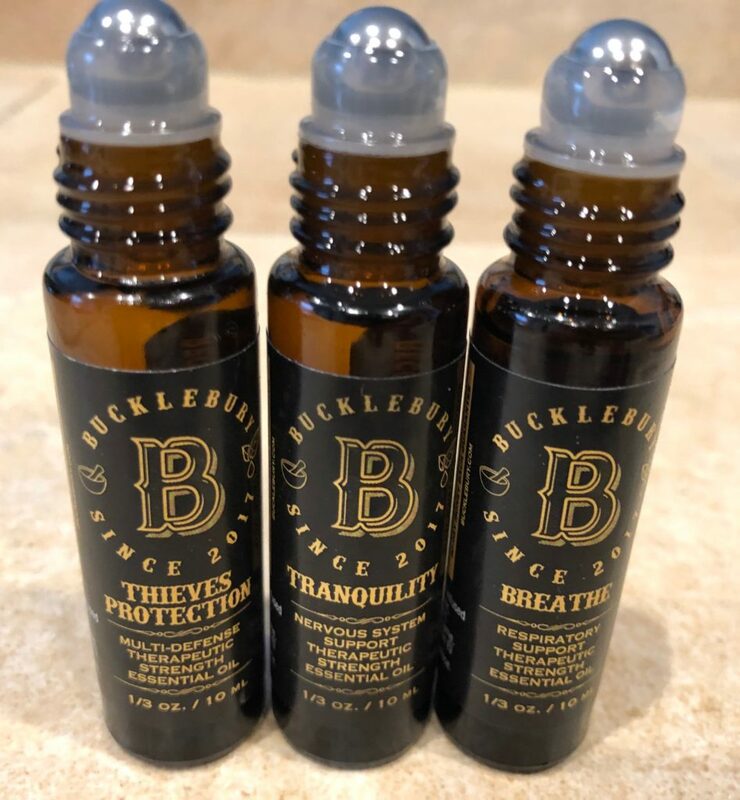 Bucklebury Soothing Syrup is a seasonal aid. Its has a honey base that soothes the throat and provides many additional health benefits. There is an alcohol free version for kids as well. The herbs that have been blended for the Soothing Syrup were picked to provide just the right amount of throat and respiratory support. A small amount of brandy is included in the original formula to act as a preserving agent and to add flavor! The CEO actually started the original recipe in his own kitchen for family and friends. Upon their persistent suggestions he started selling it. What a great choice! Little Crazy Life LOVES this (alcohol free version). As a parent you can agree that having a sick child is NOT fun, plus missed time from school/work and homework make-up! I would much rather spend the money on a product like this to boost her immune system in hopes that she doesn’t get sick. Both versions have a sweet honey flavor with a little kick behind it. Other Ingredients: Organic Raw Honey, Distilled Water, Brandy (2.5% Alcohol), (.03% Potassium Sorbate and Sodium Benzoate added to preserve freshness). 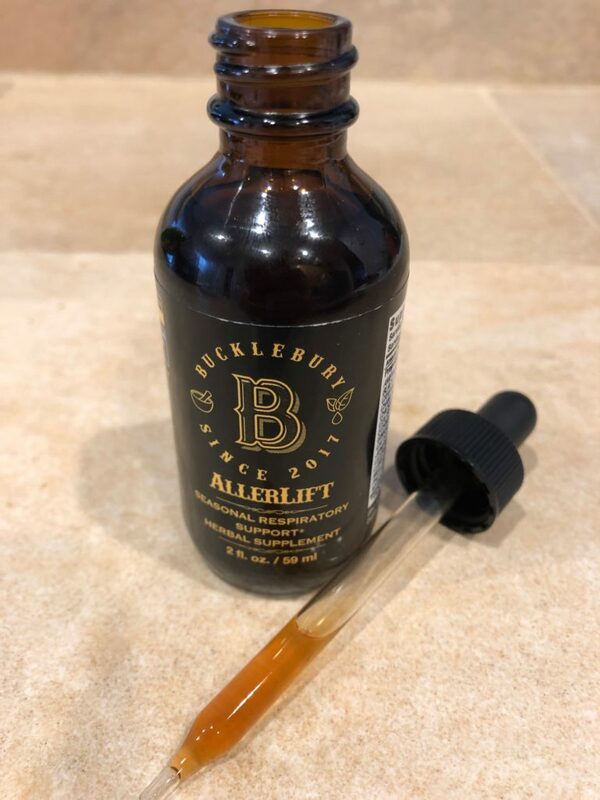 Bucklebury AllerLift Tincture is a seasonal Support Tincture. It is a professional grade herbal supplement. This is a successfully time tested formula by practitioners for decades. 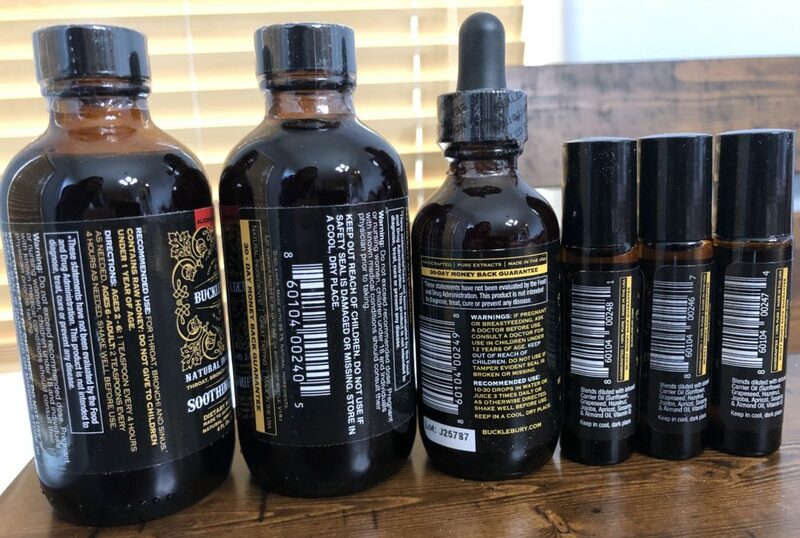 AllerLift is an extremely concentrated tincture and is created using the unique Spagyric Extraction Method (alchemy). It contains 15 different herbs that “work together to provide you with amazing respiratory support”. Put this in a small cup of water to take. We tried it straight from the dropper so you don’t have to. It is VERY strong and burns the mouth a little for about 5 minutes. It has a spicy taste if you try to take it straight. 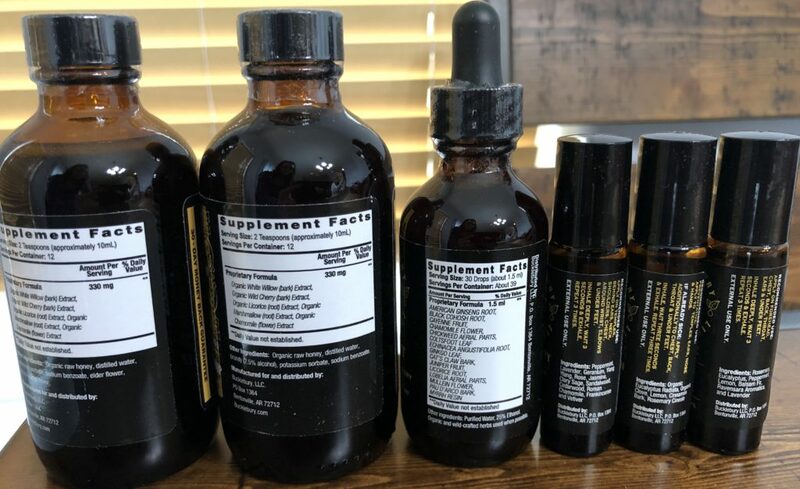 Proprietary Formula: American Ginseng Root, Black Cohosh Root, Cayenne Fruit, Chamomile Flower, Chickweed Aerial Parts, Coltsfoot Leaf, Echinacea Angustifolia Root, Ginkgo Leaf, Cat’s Claw Bark, Juniper Fruit, Licorice Root, Lobelia Aerial Parts, Mullein Flower, Pau D’Arco Bark, Myrrh Resin. Organic and wild-crafted herbs used when possible. Manufactured in cGMP facility – inspected and certified by the FDA. All incoming raw materials are quarantined until identity and quality testing are completed. Appropriate regulatory documentation is required from all raw material providers. Essential oils are a great way to promote health and wellness through aromatherapy and application with a carrier oil. My personal opinion is to never ingest oils, but again, please do your research. The olfactory system (sense of smell) is the part of the sensory system. By using oils certain parts of your brain can be triggered. This is especially important for overall wellness. Did you know many companies use scent marketing in stores? Certain scents can increase spending by up to 20%!! They trigger a happy portion of the brain that creates a happy memory. Then you return and get that same happy memory and you spend to recreate that feeling. This tells you how important scent and essential oils can be in your health and well-being. Four Thieves Remedy is based on an ancient herbal formulation originating somewhere in Europe from 1413-1722. The history and origin of Thieves Protection oil is a interesting. Check out Buckleburys page to read about it. *This time tested multi-defense four thieves essential oil provides immune system protection and or support and is great all year around! Perfect for cold season preventative or cold season support, it also is outstanding to take with you on trips/vacation as you go to unfamiliar places outside of your home! 100% pure, handcrafted, and therapeutic grade! Provides tremendous cold season respiratory and immune support to your body! Like all of our essential oils, this is therapeutic grade, handcrafted and 100% pure! Ingredients: Rosemary, Eucalyptus, Peppermint, Lemon, Balsam Fir, Ravensara Aromatica, and Lavender. Tranquility provides mental fatigue support and provides calming/relaxing support to your body’s overtaxed nervous system! Like all of our essential oils, it is 100% pure and of therapeutic grade!